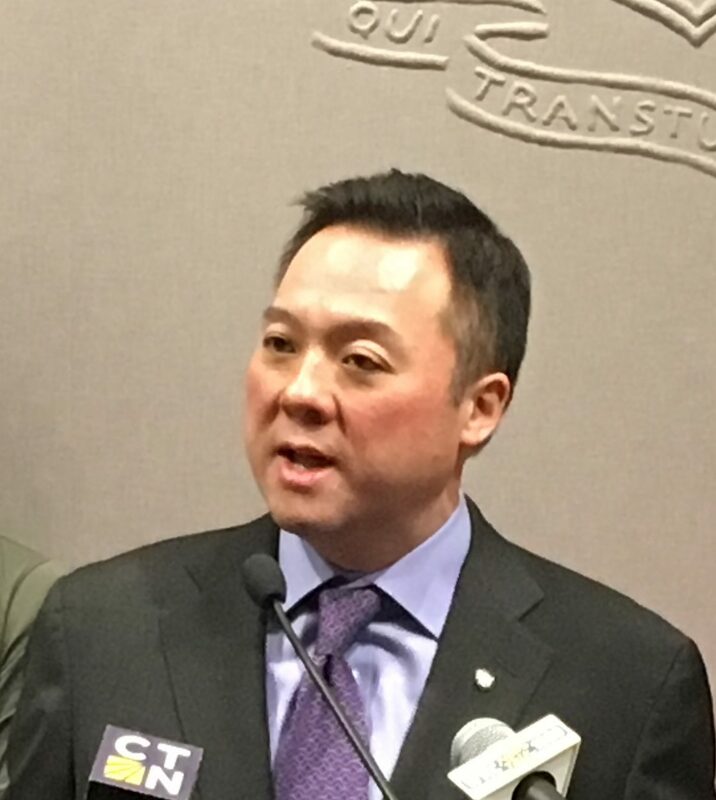 State Rep. William Tong, D-Stamford, closed his exploratory committee Monday and formally joined the race for the Democratic nomination for attorney general, promising in a one-minute video announcement to be an aggressive counterweight to the Trump administration. His announcement was not unexpected. Two Democrats already have announced for Tong’s seat in the House of Representatives: Anzelmo Graziosi, a lawyer and member of the Stamford Board of Representatives; and Matthew Blumenthal, the son of U.S. Sen. Richard Blumenthal. Tong is the fourth Democrat to declare his candidacy for attorney general, joining state Sen. Paul Doyle of Wethersfield, Assistant Attorney General Clare Kindall of Bloomfield, and Chris Mattei of Hartford, a former federal prosecutor. Attorney General George Jepsen is not seeking a third term. State Rep. Michael C. D’Agostino of Hamden, who won a Connecticut AFL-CIO straw poll for attorney general on Friday with 47.7 percent, still has an exploratory committee. Mattei was second, with 24.8 percent. Tong finished third, with 11.4 percent. Former state Rep. John T. Shaban of Redding and Susan Hatfield of Pomfret are seeking the Republican nomination. Peter Goselin, a member of the Green Party, also is running.